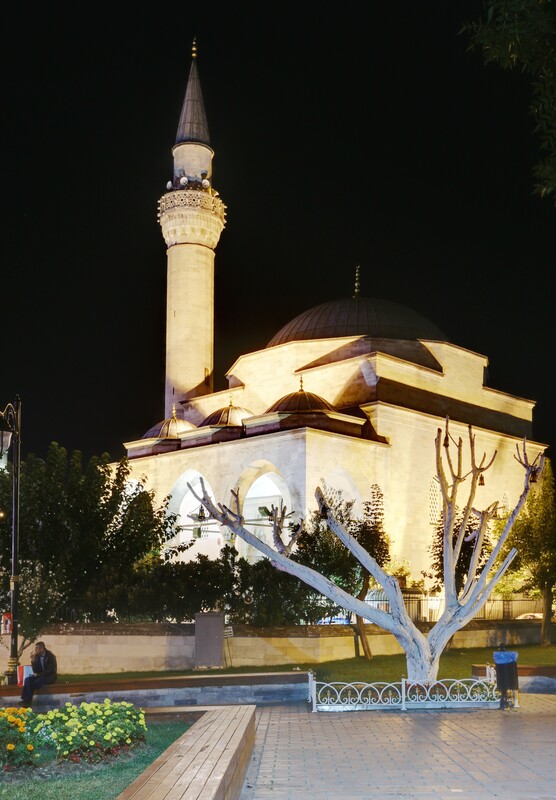 The Sultanahmet sqare (Sultanahmet Meydanı). 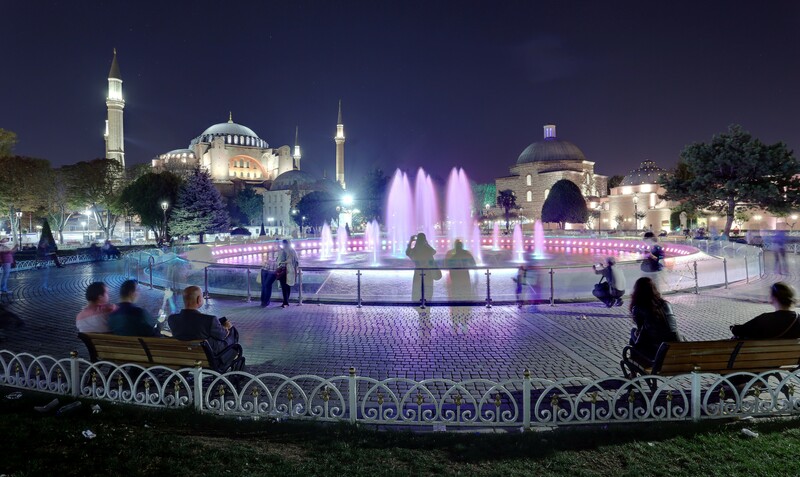 The fountain in the center of the square, about which there is absolutely no information, even in Turkish. 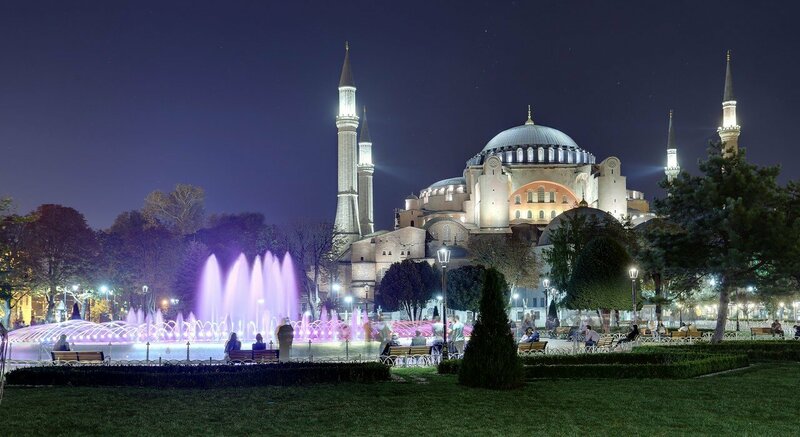 Aya Sofia (on the left) and Baths of Roxselana. Courtyard of Sultanahmet mosque (Sultanahmet Camii). 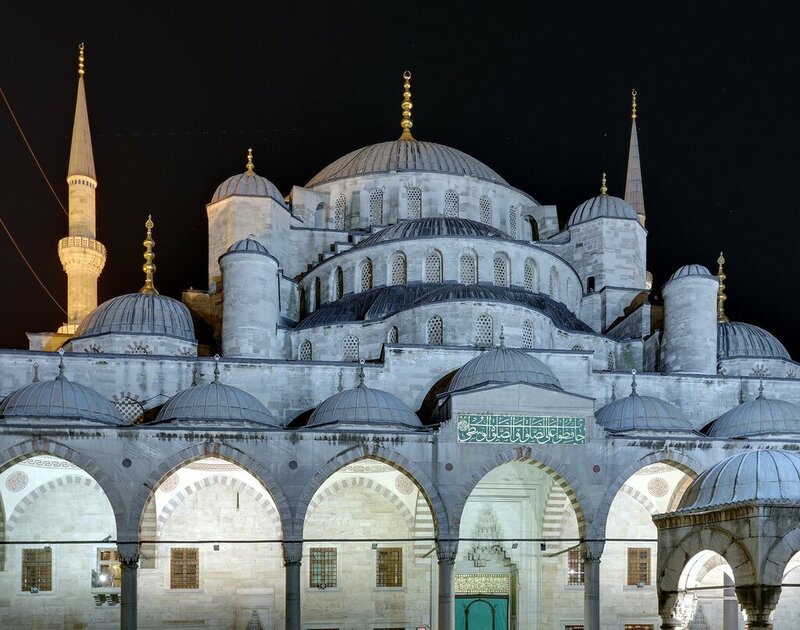 At night the illuminated building has really bluish tint, while during the day the temple does not confirm the popular name "Blue mosque". The main gate of the Sultanahmet mosque. 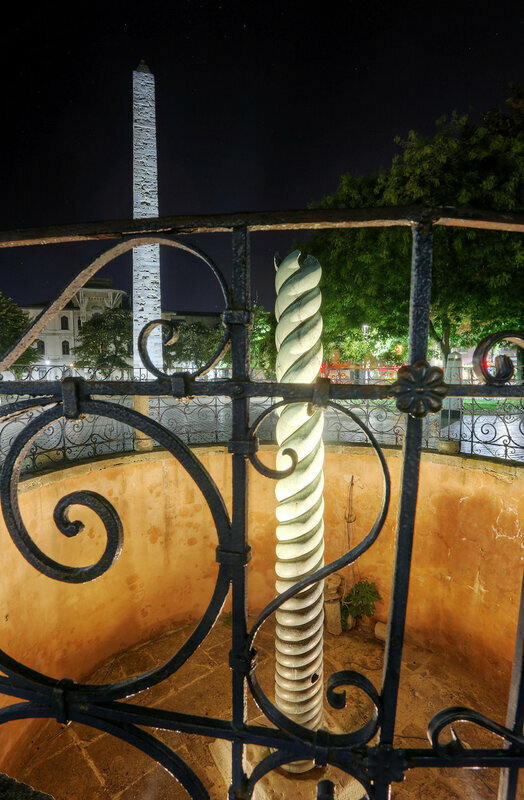 The Hippodrome sqare (At Meydanı), here since ancient times has been preserved of the Egyptian obelisks and the bronze Serpentine column.. 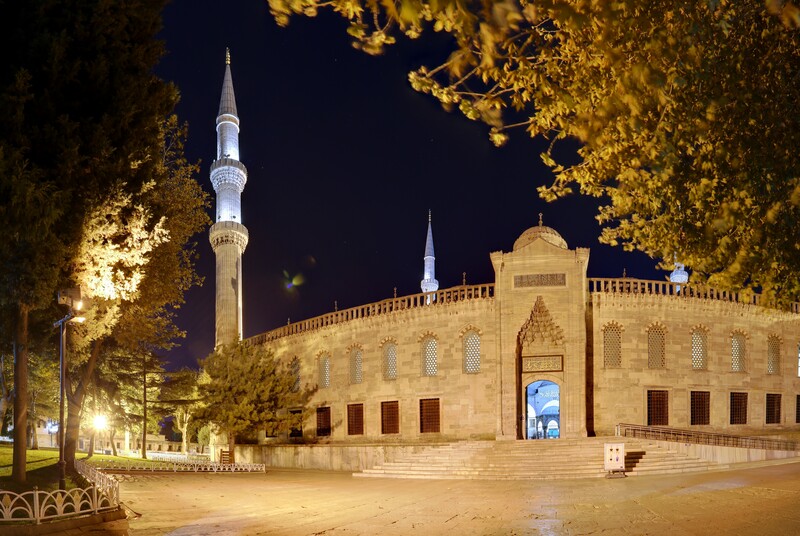 In the Park of Mehmet Akif Ersoy (Mehmet Akif Ersoy Parkı), which is close to Sultanahmet square from the West, is situated the small Firuz Aga mosque (Firuz Ağa Camii), built in 1491. Rounding Sophia left, I went to the Fountain of Ahmed III (III. Ahmet Çeşmesi, 1728г. 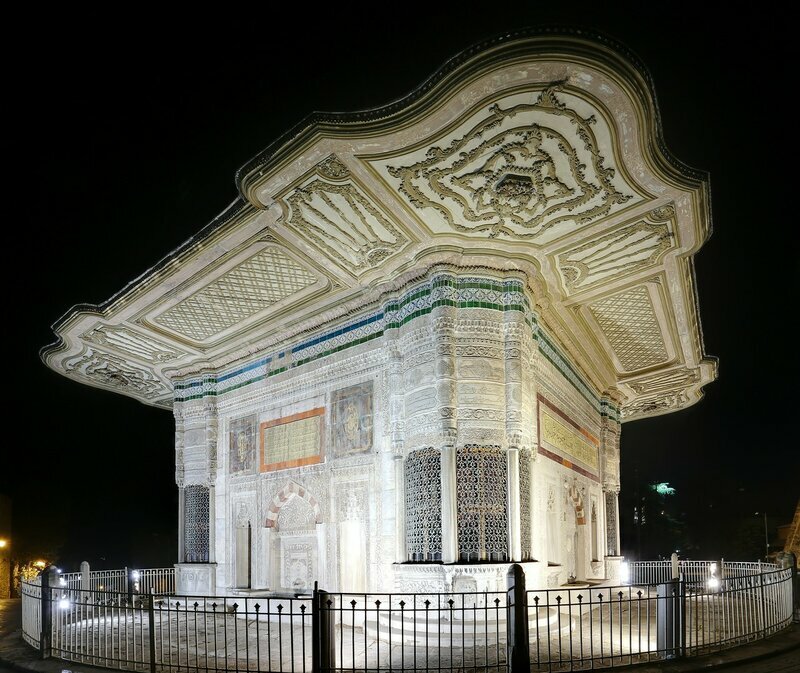 ), it is a masterpiece of Ottoman Rococo. Here was absolutely deserted, but the square and the streets around the fountain were drowned in the darkness.